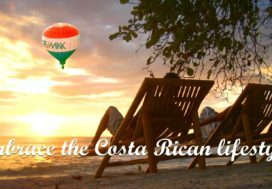 Purchasing Costa Rica real estate is now more common for those that are acting on there dreams of relocating and retiring overseas. 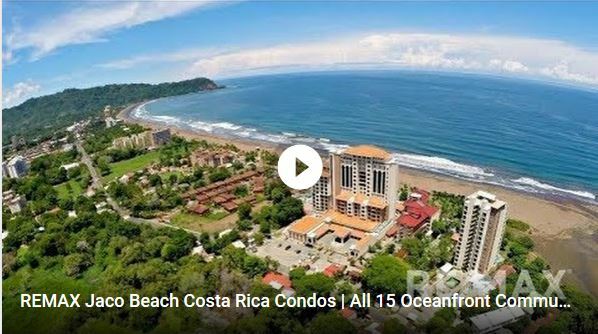 An increase in the Costa Rican wealthy are also now pushing the real estate markets on the beach especially in the Central Pacific Areas just an hour West of the hottest areas in the Central Valley. This welcome turn in the local market us leaving the plateau real estate market in the distance with a much more solid and stable market on the horizon. Many wonder if Costa Rica has passed it’s prime and find that hidden under surface there are still incredible deal to be had. 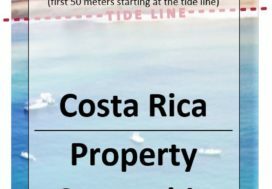 What should you expect when buying Costa Rica property? The buying process in Costa Rica is quite easy and straightforward as long as you have a good real estate agent who can ensure that you are protected with a comprehensive purchase contract, a reputable attorney, a safe 3rd party escrow account, qualified home inspectors and more. 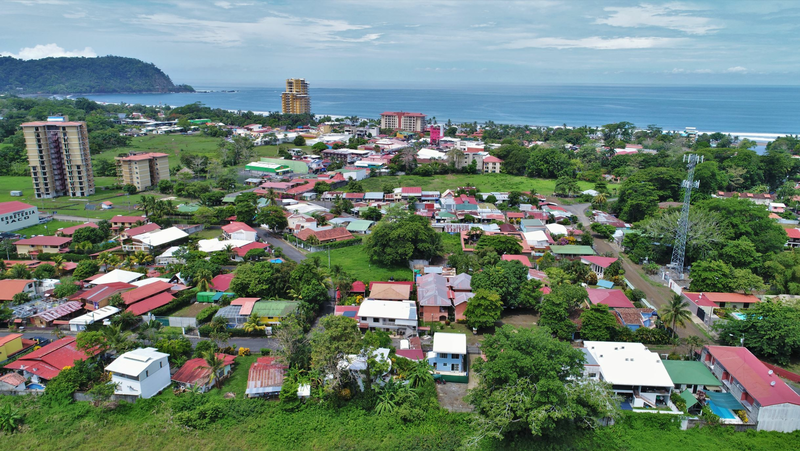 There is no Multiple Listing Service (MLS) nor real estate licensing requirements in Costa Rica and therefore it’s important to work with a seasoned agent who knows the market extensively and has experience in the process. Once you find a property that you are interested in making an offer on, we will draft a formal purchase agreement that you will sign and will be presented to the Seller via the Seller’s agent. Often times the Seller will offer a counter offer and we will go back and forth until we hopefully come to an agreement. The purchase agreement will detail the deposit amount, length of closing, who will pay the closing costs (see the section on Closing Costs), if there will be a home inspection, the inventory that is included as well as other legal details. The contract will also mandate that all utilities, property taxes, HOA fees (if applicable) and all other operational expenses are paid through the closing date. The length of closing is completely negotiable between the Buyer and Seller but once the attorney has completed the due diligence and given green light to move forward then the closing can take place rather quickly. However, it is very typical to structure a contract for a 30-day closing. Purchase prices are almost always negotiated in US dollars. Once the Buyer and Seller have signed acceptance of a purchase agreement then then we will do the following. You will need to hire an attorney to begin performing the due diligence on the property to ensure that the title can be transferred without any issue. Normally the attorney is allotted with 10 – 15 days in order to carry out this process during with time any deposit would be fully refundable until the termination of this period. The attorney should provide you with a detailed report of all their findings and recommendations and we can refer an excellent English Speaking attorney to you who specializes in real estate transactions. Protects the buyer – The alternative to using an escrow account would be to pay a deposit directly to the Seller or to your attorney. It is never a good idea to pay a deposit to a Seller especially prior to the due diligence being completed. Deals can fall apart even at the closing table and trying to get a deposit back could take years in court. Depositing with an attorney has its risks because normally their accounts aren’t regulated. Most attorneys won’t have insurance on their accounts either. 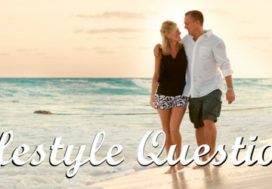 Secure title has a $5 million dollar insurance policy for errors and omissions. Protects the seller – most sellers will feel more confident with funds being held with a non-biased 3rd party rather than with the buyer’s attorney. There have been cases where the buyer decides to back out once funds are non-refundable and their attorney simply gives them their money back leaving the Seller in a position where they would have to sue the buyer to obtain that deposit. It is the escrow company’s job to hold or distribute the funds according to the purchase agreement. If the due diligence process yields positive results, then we can move toward the closing by depositing the remaining purchase funds with the escrow company. A final closing statement will need to be signed by both the Purchaser and Seller that will detail all the wire distributions at the closing. The transfer deed will be signed by the Purchaser and Seller or by their representative to whom they granted a special power of attorney and the wire transfers will be immediately executed. Once the transfer deed has been signed by both parties, the property will have legally been transferred. However, the attorney will need to file the deed with the National Registry and within 7-10 days the new ownership will be updated within their system. Closing costs are always negotiable but it is common to see either the costs split 50/50 between Buyer and Seller or with the Buyer paying for all the costs although any variation thereof can exist. There are two scenarios when purchasing or selling property. Share Transfer Agreement: This scenario occurs when the corporation that owns the property is purchased from the Seller. The corporation therefore remains the owner of the property and at the Closing, the board of directors will be modified to remove the Seller and include the Buyer. Additionally, new shares of stock will be issued that reflect the buyer’s interest in the property. Since the owner does not change you avoid significant fees associated with recording a new owner with the Costa Rican National Registry. If all fees are split 50/50, then each the Buyer and Seller would pay $3,125. Property Transfer: This scenario occurs when the property is sold and a new owner is registered with the Costa Rican National Registry. For example, if a property is owned in a corporation but is sold and put into another corporation or into the personal name of the Buyer then you have a property transfer. The attorney will draft a Transfer Deed and the new owner will be recorded in the Costa Rican National Registry. If all fees are split 50/50, then each the Buyer and Seller would pay $3,875. Notes: The difference in cost between the Share Transfer Agreement and the Property Transfer is due to the higher cost to record a new owner. It is recommended to own property within a corporation for reasons that are detailed in the following section so if you need to create a new corporation then the cost is approximately $650. Often times the Buyer will be responsible to pay the entire amount of the Escrow Service. If you are not able to be present at the closing, then you can easily grant a special power of attorney to anyone you choose assuming that you purchase the property with a Costa Rican corporation. The cost for the power of attorney is normally $200. In the past, the Share Transfer Agreement was very common because the transfer tax was avoided by transferring the corporation. However, recent changes in the law now require the transfer tax to be paid whenever a property is sold. Therefore, it is more common today for an attorney to recommend a property transfer over the share transfer due to the possibility of inheriting any unforeseen liabilities attached to the corporation that owns the property.